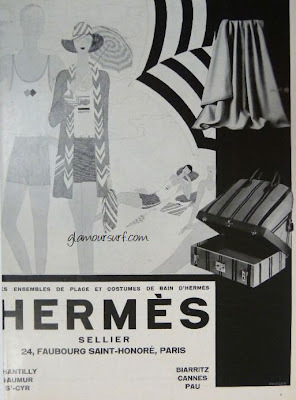 Hermes may not be a brand you typically associate with swimwear; you most likely conjure up beautiful luxurious handbags or silk scarves, or beautiful jewelry. 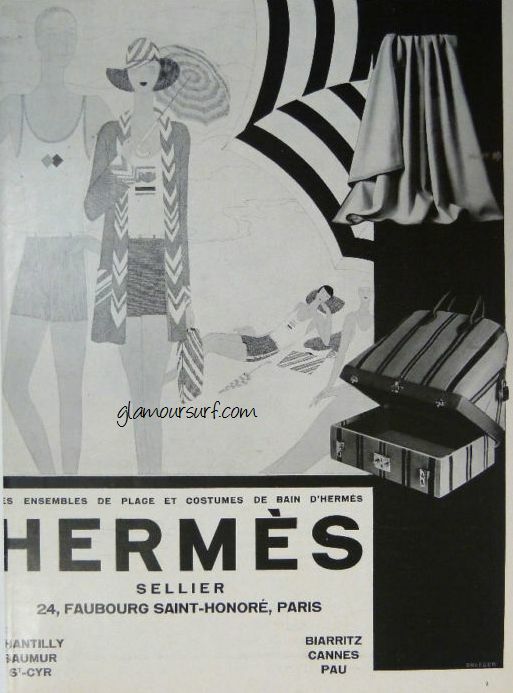 But as these ads show you, Hermes De Bain swimwear started to be available in the early 1930s. 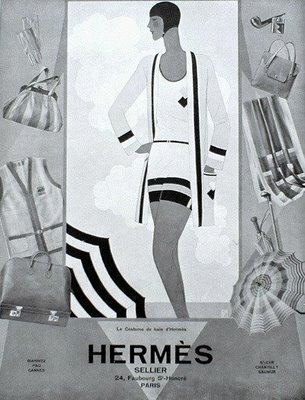 1929 was the first exhibition of women's fashion by Hermes in Paris. We're lovin the early 1930s pieces at Glamoursurf. I love old Hermes sports clothes ads. What I'd give to actually find some of the things pictured!